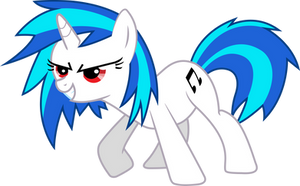 I realized I didn't have a Vinyl Scratch vector where she wasn't wearing socks, so I took the socks off one of them. May I use this as a Chatlands pose? Looks great! Thanks for letting me know. Can I use this Vector? Reddit and ponies on deviantArt!